The Kailasanathar temple known as the Navagrahastalam associated with Chandra the moon, is located in the hamlet of Tingaloor not far from Tiruvaiyaru near Thanjavur in Tamilnadu. 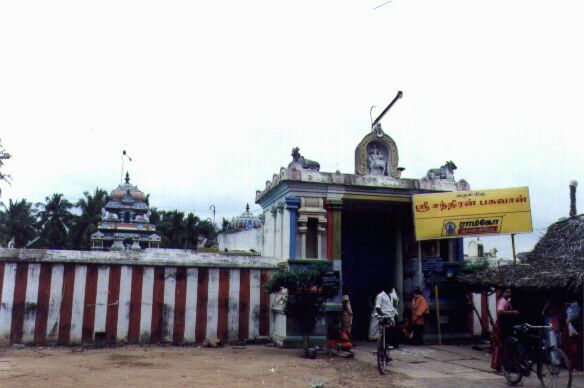 The small temple here has a small shrine dedicated to Chandran. 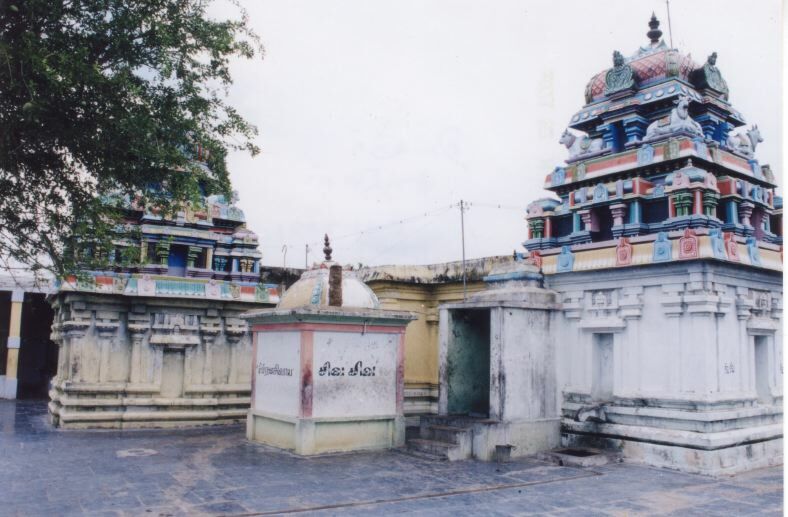 This is an ancient Saivite shrine, associated with the life of Tirunavukkarasar, although no Tevara Patikam dedicated to the shrine has been discovered so far. Tirunavukkarasar has mentioned Tingaloor in a patikam of 10 songs dedicated to another Shivastalam, and hence Tingalur constitutes on of the Tevara Vaippu talangal. Legend has it that there lived a merchant Appoodi Adikal in the village of Tingaloor who was a devotee of Shiva. Appoodi Adikal held Tirunavukkarasar in high regard and looked forward to the day when he would be able to host the saint poet. The day arrived, but his son got killed by a venomous snake bite while the saint was being hosted. The saint moved by Appoodi Adikal's devotion is said to have miraculously restored the lad to life. Templenet thanks Mr. C. Vedanarayanan (UK) for the photograph of Tingalur shown above.